The ancient site of Aigai or ‘goats’, the curiously named first capital of the kingdom of Macedon, lies on the southwest edge of the plain of Macedonia in Northern Greece, in the foothills of Mt Pieria. 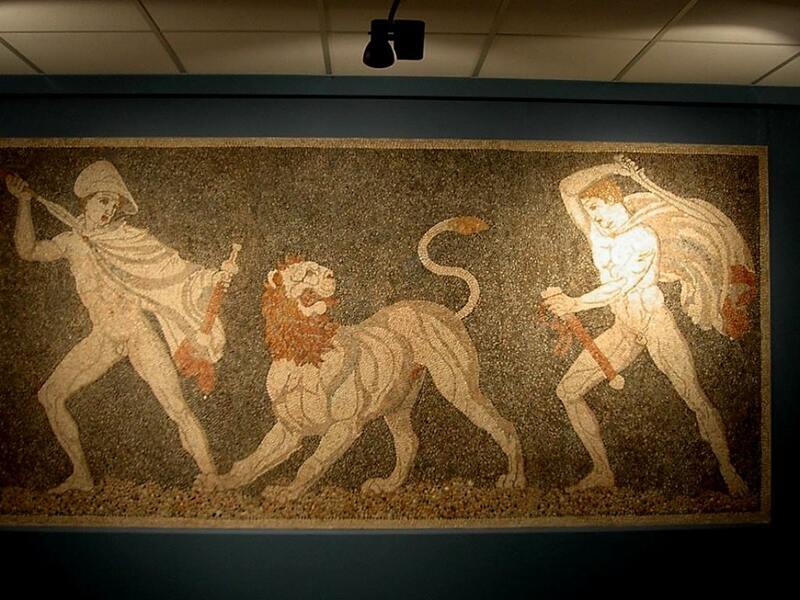 Although there are open-air ruins, you have come here to see the extraordinary subterranean museum of Vergina and the tombs of the Macedonian dynasty. 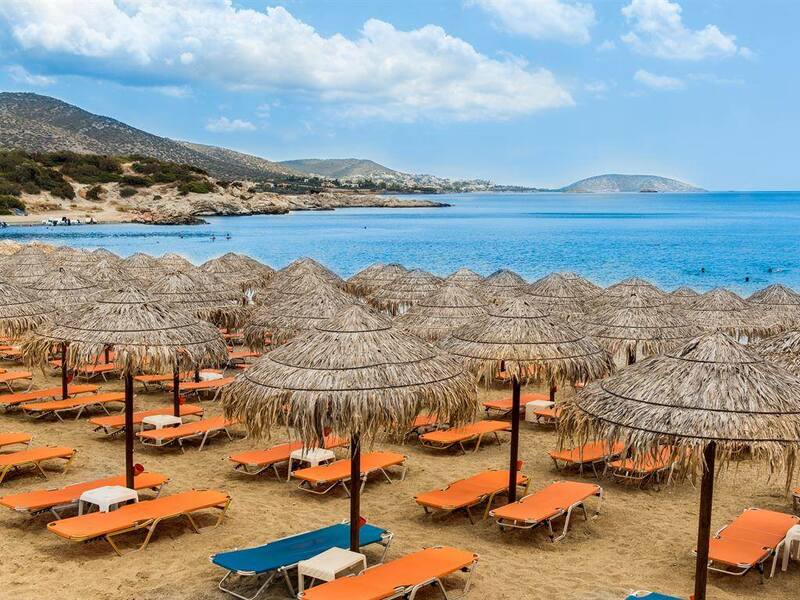 Here you’ll witness the grandeur of Ancient Greece; one of the most important archaeological finds in the country, and the most important in Macedonia, is ready to reveal its secrets. Like everyone else, you enter the raised mound or tumulus through an ominously dark passage, leaving daylight behind, only to emerge in an open circular space where wonderful lighting illuminates some of the most extraordinary finds ever discovered. 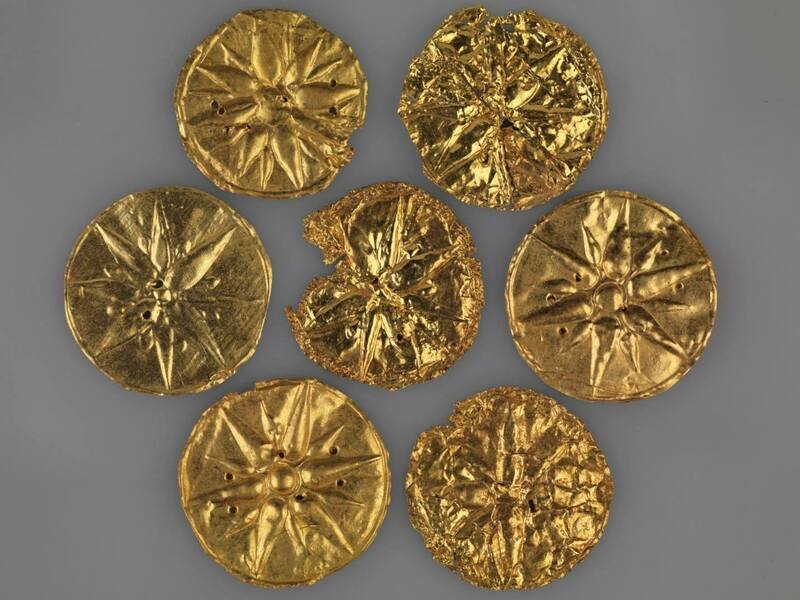 You feel a bit like archaeologist Manolis Andronikos, when he unearthed treasures emblazoned with the golden star of Macedon and knew he had stumbled upon the untouched tomb of Philip II, father of Alexander the Great. This shell was erected over the tombs and the other invaluable finds to protect them from the elements in 1997. They represent one of the most astonishing archaeological discoveries in 20th century Europe. Manolis Andronikos’ discovery of the tombs of the Macedonian kings Philip II and Alexander IV in 1977 rocked the archaeological community and the world at large. Philip’s tomb is large, double-chambered and its facade resembles a Doric temple, with columns, a frieze and metopes carved in relief. 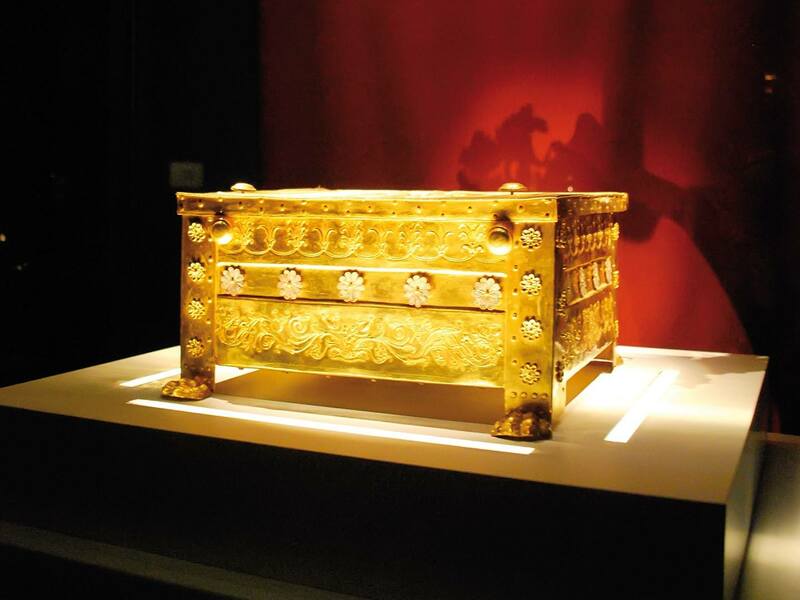 The chamber concealed its famous golden larnax with the bones of the dead king intact for more than two millennia. The Great Tumulus that covered the circle where the tombs were found was reconstructed to create the impression of an ancient grave monument. Maintaining constant temperatures and humidity, the subterranean construction shelters and protects these priceless finds. Apart from the royal tombs, you’ll see the brilliant frescoes depicting the Abduction of Persophone and the Royal Hunt, which are the only examples of the great artists of the Hellenistic period that have survived. In this darkened space, the beautifully illuminated ancient objects stir a multitude of emotions; awe in the face of death, wonder at the power of the royal dynasty that inspired such creativity and admiration for the modern wizards who designed such a magnificent repository for these invaluable exhibits. 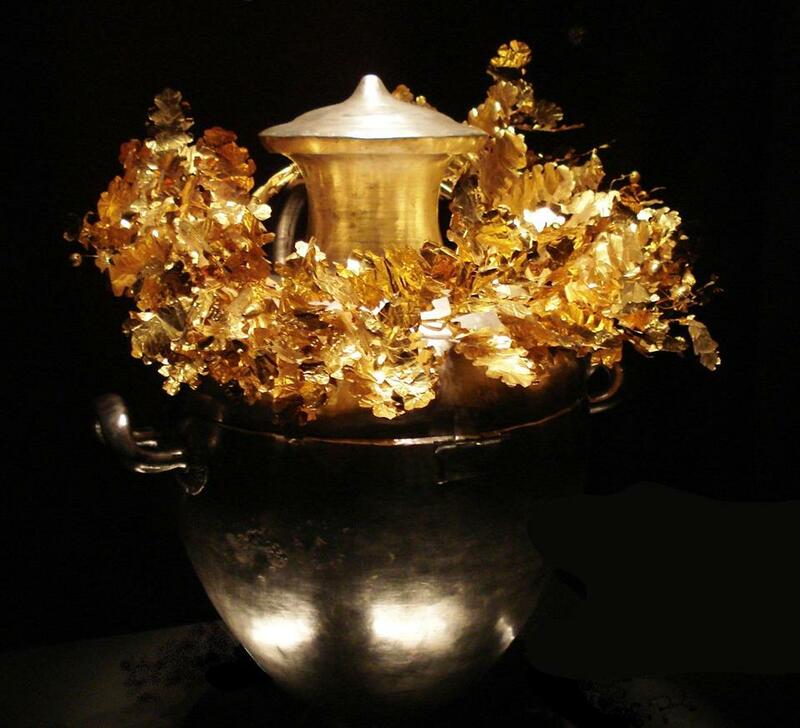 One of the museum’s most important exhibits is the gold larnax, which held the bones of the dead king. It weighed 11kg. Emblazoned on its lid is the Macedonian sun or star and on its sides floral motifs and rosettes. 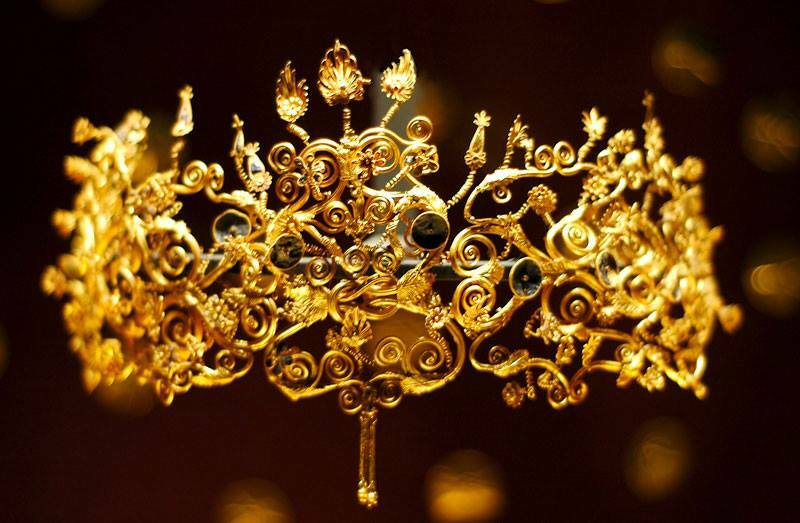 The gold wreath is the most valuable crown we have from antiquity. It consists of 313 oak leaves and 68 acorns linked with unimaginable artistry by a master jeweller. In the last section of the museum, you’ll witness finds from tomb III, which is thought to have contained the remains of Alexander IV, the son of Alexander the Great and Roxane, who was murdered by Kassander in 310 BC. At its centre lies the silver urn that held the cremated bones of the young prince, surrounded by exquisite ivory reliefs decorating the bier. Aigai, where the Macedonian kings originated, was the heartland of the Temenides, the dynasty that ruled Macedonia for four centuries and gave the world Philip II and his son Alexander the Great. The ancient city included the outer walls with a tower and entrance gate, the palace, a theatre, the agora with a shrine to Eukleia, the sanctuary of Cybele, mother of the gods, public buildings and private houses. The archaeological site lies close to the tumulus of Vergina and is a Unesco World Heritage Monument and a region of particular natural beauty. Built by expert masons using large limestone blocks, this tomb is one of the largest monuments of its type, and the most significant attraction in the area. The few pieces of pottery discovered within it indicate that it must date back to about 350 BC. The grave belonged to a young woman about 25 years of age who died in childbirth and was buried here with her newborn infant. Just below the hill crowned by the acropolis of Aigai, the impressive ruins of the royal palace dominate the area from a raised plateau marked by a venerable oak tree. 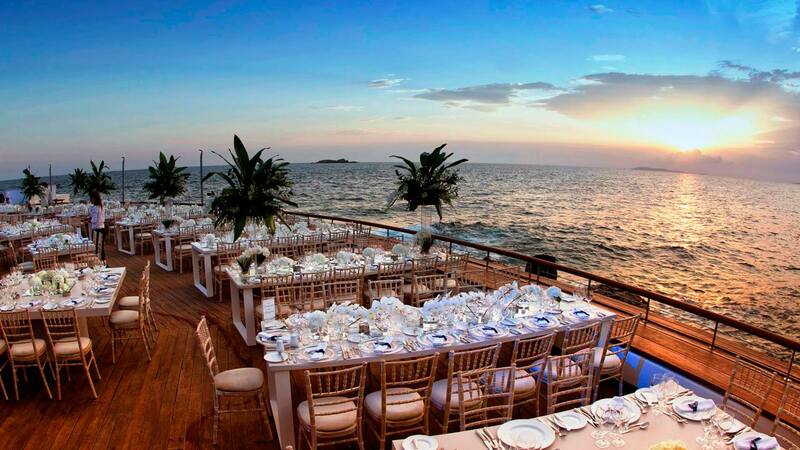 Sumptuously decorated, it was indeed fit for the illustrious dynasty. 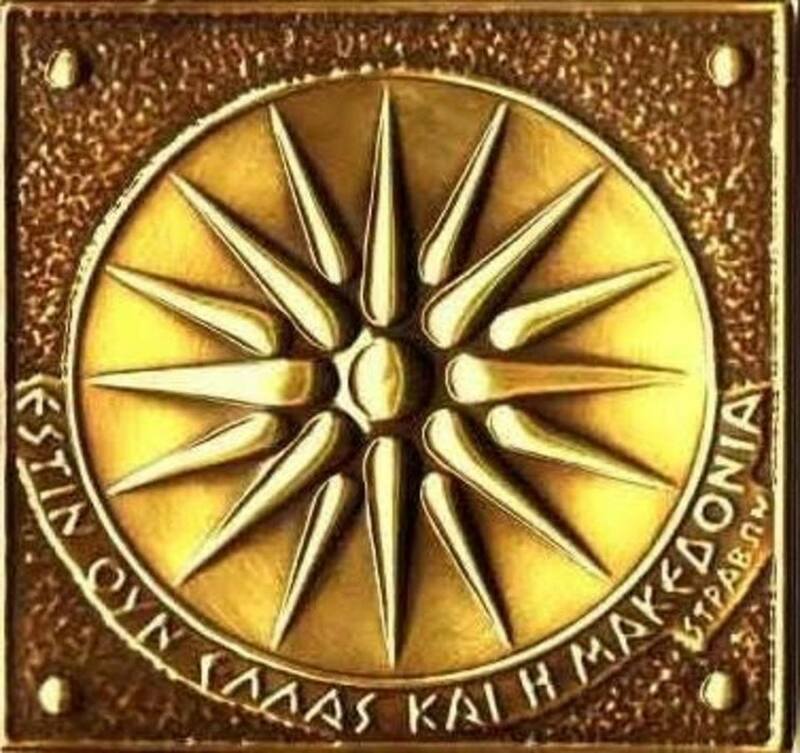 Discover the mystical symbolism contained in the rays of the Vergina Sun, depicted on the golden larnax found in the famous royal tomb of Philip II and other members of Alexander the Great’s family. There are 16 rays in all. Four of them represent the natural elements – air, fire, earth and water – and the remaining dozen are the 12 Olympian gods.